BizTalk developers have often felt the need to unit test any dotnet components called from within an orchestration. 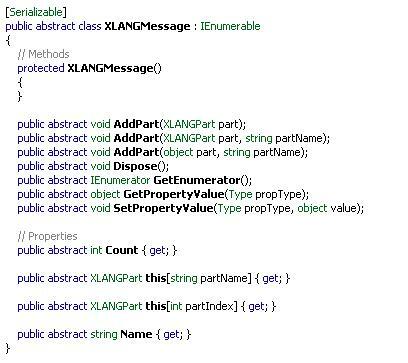 However, messages passed to dotnet components are of type XLANGMessage and this class is an abstract class, therefore rendered useless when it comes to initialising these types in your unit tests. The way around this is to mock both the XLANGMessage and XLANGPart classes. 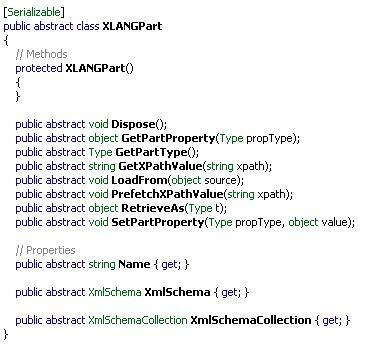 The best way to mock these classes is to run reflector on the xlang base types dll and look at the definition of these classes. As you can see, both these classes are abstract classes and can be inherited and the behavior added. Below is the code the these mock classes. The key here is the constructor of these classes which will help us use them like any other class. var msg = new MySchemaClass(); //schema class can be generated via tools like XSD to code. var myObj = new MySchemaClass();//schema class can be generated via tools like XSD to code. myObj = (MySchemaClass)message.RetrieveAs(MySchemaClass.GetType()); //retrieve parts of the message. //perform additional tasks as per your testing requirements.